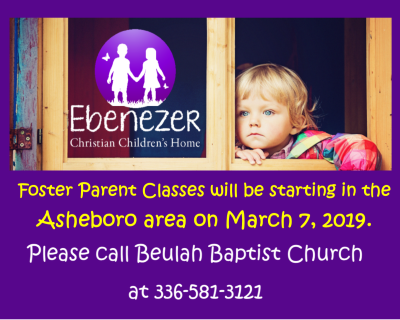 In addition to our foster parenting classes being held in Wilkes, classes will be also be held in the Asheboro area. These classes will begin March 7th. If interested, please contact Beulah Baptist Church at 336-581-3121 for more information!